Help us support the ALS Society of BC! 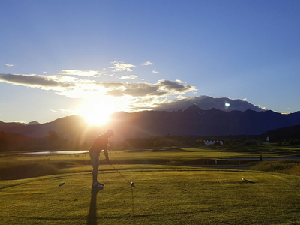 <Names of Golfers> are participating in the PGA of BC Golfathon for ALS on <Date> and will be collecting donations in support of their efforts. Please help them reach their fundraising goals. Just click on the green "DONATE NOW" button to make a donation. The ALS Society of BC is dedicated to providing direct support to ALS patients, along with their families and caregivers, to ensure the best quality of life possible while dealing with ALS. Through assisting research we are committed to find cause of, and cure for Amyotrophic Lateral Sclerosis (ALS). To provide direct support to patients, their families, and caregivers through our services including the equipment loan program. To raise funds for patient services & research. To increase public awareness and understanding of ALS.